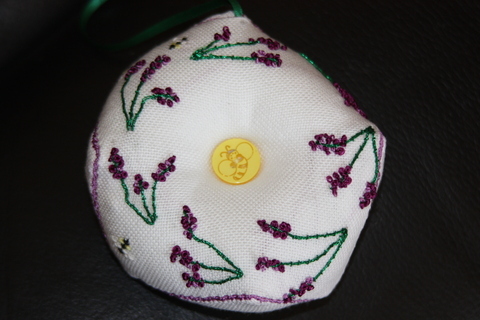 I have been stitching since August but not as much as I should have done thanks to other things turning up. 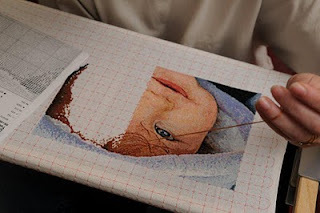 In September I was the Calender Girl for my Friendly Stitchers Yahoo Group. This meant that the other ladies in my group sent me stash (as I did to them when it was their turn). I got some wonderful fabrics, scissors and threads so a big thank you to Mouse, Karin, Martina, Ally and Lynda. I have been working on my Sanman Inky Dinky Snowmen and here is the finished product. I decided against making it into a quilted hanging and instead put it on my stitching bag which I took to Harrogate. 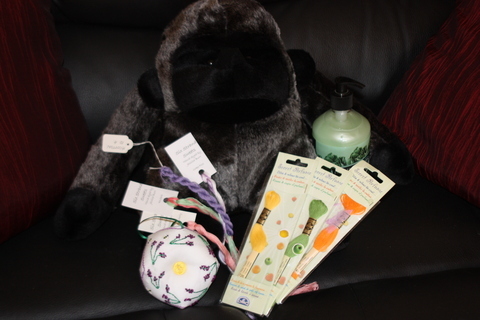 And this is what I sent to Jacqueline, minus the gorilla! 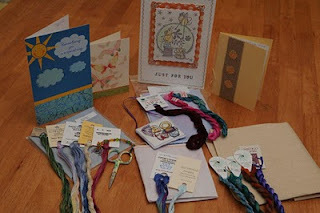 ﻿I've also taken part in a humbug exchange with FS and my humbug went to Julie in Australia. 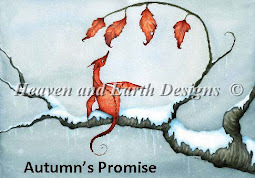 I designed it with an Autumn theme as at the time all the leaves were falling down here. Also here is the beautiful humbug that Julie stitched and sent to me....DD fell in love with it and gazes at it hung in my room. Here is the latest on my Darcy photostitch, she has been woefully neglected lately which is not going down well with DH. I'm determined not to start another SAL or large project until she's done now. I'll try and put regular updates on her here so you can all give me a good prod to get her done. DH took this one evening whilst I was working on her, hence the weird angle of the photo! I've finally given in to temptation and got Castles in The Air by Papillon Creations. I bought the fabric for it whilst at the Harrogate Stitching show. I've also taken part in a Sock Hop with friends from my Frostydesign Stitchers group, mine went to Mary over in Corpus Christi....luckily before the snow started here! Tuesday nights are usually reserved for working on my Kaliedscope Snow Checkers whilst DS1 is in his karate lesson, we're getting there on it but it'll not be done for Christmas this year. Did you grid a 10 x 10 square and if you did what did you use to Grid your material with? I dearly love your Photos of Scotland too...I am part Scotch Dutch and Full German.